The Volkswagen Arteon will include a class-leading 6 year/72,000 mile warranty. It is expected to debut at VW dealerships this summer. Volkswagen unveiled its latest new sedan on Thursday, February 8 at the Chicago Auto Show. The new Arteon mid-size is designed to compete with premium brands such as Audi, BMW, and Lexus. 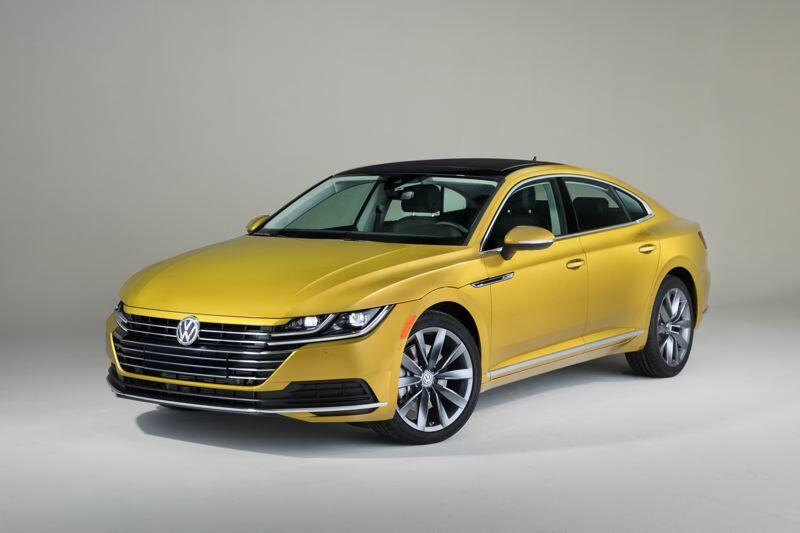 "Arteon has the style and performance of a luxury Gran Turismo for about the price of a fully loaded midsize sedan," remarked VW's North American Region CEO Hinrich Woebken. Releaseing the Arteon shows that Volkswagen is not abandoning the struggling sedan segment in the face of surging SUV sales. In 2017, the German automaker rolled out a new Atlas mid-size SUV, and updated the Tiguan compact SUV to provide three-row seating. Now for 2018, the new Arteon will be joined by a revised Jetta compact sedan. The Arteon is a technology showcase, with emphasis on VW's digital cockpit, which allows owners to reconfigure the dashboard display and place navigation data directly in front of the driver. Volkswagen also offers a comprehensive connectivity and infotainment package. Standard driver assistance and safety features include a rearview camera along with Forward Collision Warning and Autonomous Emergency Braking, and Blind Spot Monitor with Rear Traffic Alert. Available driver assistance features include Adaptive Cruise Control with Stop and Go, active Lane Departure Warning, High Beam Control, Parking Steering Assistant including Park Distance Control, and Overhead View Camera. The Arteon will be powered by a 2.0-liter turbocharged four-cylinder engine rated at 268 horsepower and 258 pound-feet of torque. The engine is mated to an 8-speed automatic transmission. Both front and all-wheel-drive are available at all trim levels. Additionally, the Arteon includes active suspension damping as standard equipement. Pricing has not been released, but the Arteon will include a class-leading 6 year/72,000 mile warranty. The Arteon is expected to debut at VW dealerships this summer.